All in a restful colour, the curtains are in linen and the beds of high quality. 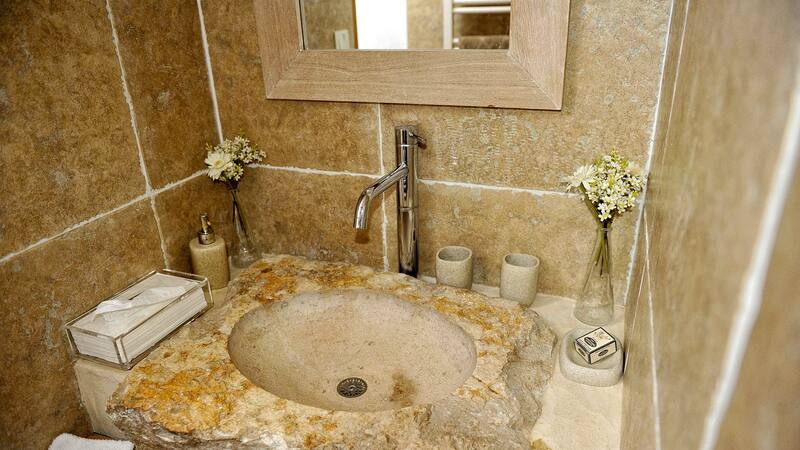 Particular care has been made in the design of the bathrooms : a basin made out of a rock, another fitted in a tree trunk. All the taps are of best quality. Bedroom of 15 m2 on the ground floor with 2 beds ..